The Partnership for Better Health has invited 28 local nonprofit organizations to participate in our annual matching gift campaign throughout March. We are pleased to welcome M&T Bank as our new partner this year! With M&T Bank’s support, generous donations from our volunteers and the Partnership’s match, this year’s stretch pool has grown to $75,000! During the campaign, all donations to participating organizations will be eligible to receive a portion of the stretch pool. M&T Bank plays an active role in the community and believes in the wellbeing of the communities they serve. We welcome their support of Match Madness! 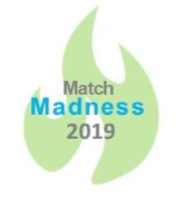 Match Madness donations will only be accepted between March 1 and March 31, 2019. Up to $75,000 in foundation funds may be matched by gifts of individual donors. These nonprofits will receive a proportional amount of this “stretch fund” based upon what they raise. Donors should designate their gifts to the participating charity of their choice. A donor is defined as an individual, corporation or business. All forms of “grants” (corporate, foundation, private) do not qualify for the match. 100% of gifts raised from individual donors will go to the participating charities of the donors’ choice. There is no minimum gift contribution. The Partnership for Better Health will acknowledge all donations upon receipt for tax purposes. Donations may be made online or via check, payable to Partnership for Better Health.